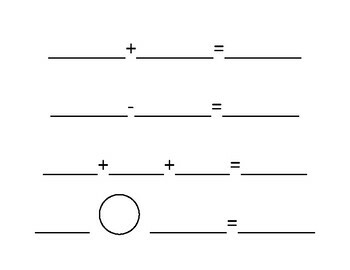 This is helpful during center activities for students to have all blank equation options on hand. I laminated these and had each student have one in their math folder. Has two addend addition blanks, two number subtraction problem. three addend addition problem and blank equation template for students to decide correct operation.